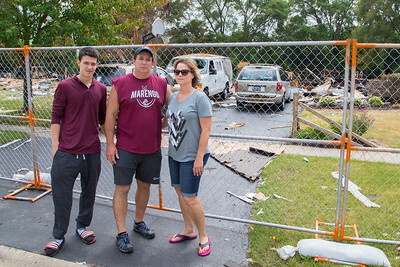 Austin, Tim and Kim Keefer (L-R) stand in front of what is left of their home in Marengo Saturday, June 17, 2017. 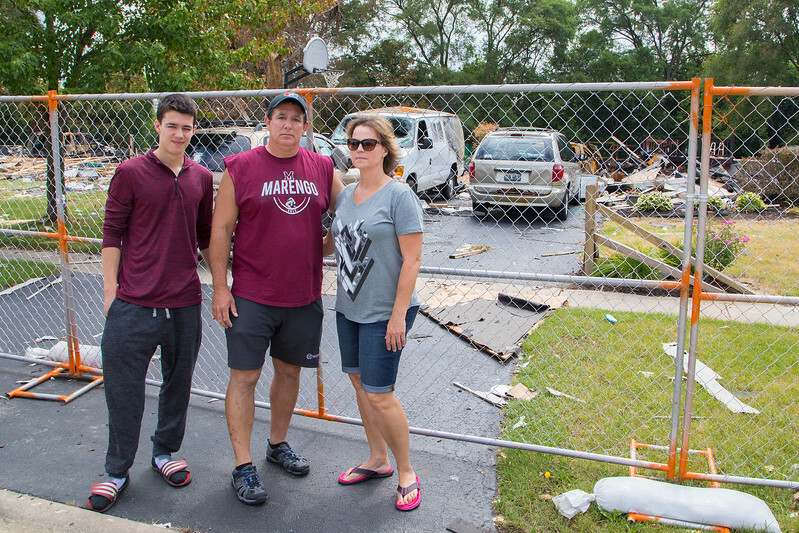 Tim Keefer is the wrestling coach at Marengo, and the wrestling community is organizing a benefit for the Keefer family Sunday, June 25, 2017. 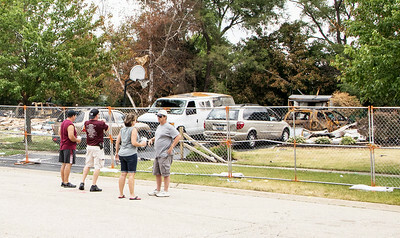 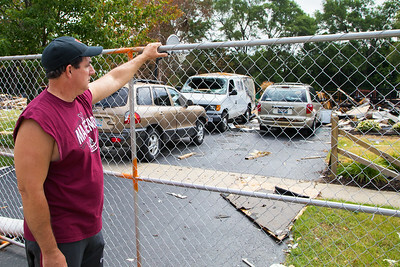 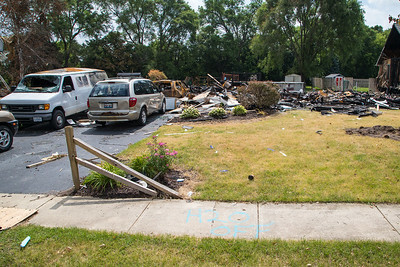 The home was destroyed in the gas explosion last Sunday morning.